A guest author on the blog! Welcome Ashley Holzmann! Hello, everyone. My name is Ashley, but don’t let that fool you. I’m not a woman. I’m often a horror writer, though I have—at times—dabbled with other genres. There’s a plethora of variety within the horror genre. The goal is to insight tension, fear, or anxiety within the consumer of the medium. The paths to achieving that goal vary wildly. The horror community at large cannot even agree with itself on what is and is not scary. Horror is subjective; and that’s a good thing, because all stories are interpreted differently by the person hearing or reading or watching the story. That’s a big part of what I want to talk about here. How we consume horror and how the same story can be told in more than one way. I also want to touch on the nature of fear, the current audiences for horror, and use the new release of IT in movie theaters across the country as a platform for my wild spiel. This is an analysis of storytelling above all else. It could very well be a discussion of any genre. But Halloween is approaching and I have, myself, recently release a book within the genre, so why not use this as an opportunity? I recently went to see the new release of IT in theaters, and while the movie had its flaws, it accomplished what it set out to do: convey fear. We are lucky that there are three versions of this story out in the world: the recent film, the mini-series adaptation, and the original book the former are based on. By comparing the three, I hope to bring a few thematic aspects of the stories to light, and discuss the successes and shortfalls of attempting to apply those themes to a story. Summaries of IT can be found throughout the internet. IT and the creator—Stephen King—is so imbedded within society that I won’t explain much of the plot here. The premise, for the uninitiated, is that a group of kids growing up in the suburbs begin realizing there is a creature trying to kill them, and the creature feeds off of their fear. To be clear upfront, I enjoyed the new film. It is not perfect, but it had to balance a lot of various realities: a direct adaptation of the book was not an option; the new movie had to live up to rose-colored expectations comparing it to the Tim Curry mini-series adaptation; the modern horror audience had to be factored into all of the decisions for the new film. The movie is also adapting the source material from a book that is so long that its audiobook spans nearly forty-five hours. If you half a half-hour commute to work and you want to listen to IT on audiobook, it will take you a month and a half. Boiling that down to two-isa hours is no easy task. There is a complicated balancing act when adapting a story, and I personally feel like the writers, directors, producer, actors and everyone else involved did their best to balance all of these factors in the new movie. In many ways, all creative works are reinterpretations of ageless stories. The Heroes Journey is a timeless trope that still invigorates us. The Coming of Age tale is repeated annually throughout all of our media. The list of archetypes for story structure is not as long or varied as it appears to be when you walk through a book store or scan streaming video services. What matters is the way a story is told. What aspects are concentrated on. What is thrown away. How the characters interact—characters that are, themselves, often common archetypes. For the new adaptation of IT, I’d like to address the modern horror-going audience upfront. Today’s horror audiences are conditioned to one type of horror scenario: the jump scare. Jump scares for days. It’s a familiar set up and execution. The music in the film will tell you exactly when something is coming, leading the audience to anticipate the moment. The music then cuts low, and the jump scare moment manifests with a spike in sound effects. Everyone is surprised briefly, and this is repeated over and over again. Most horror aficionados are not fans of this tactic. It is cheap and easy to do with a premise that’s sloppily put together. Most horror movies these days aren’t actually very scary. They are just peppered with jump scares. The new movie adaptation for IT is no different. The disappointing aspect of the jump scares in this movie is that the movie would have been amazing without the jump scares. Because the premise, itself, is absolutely horrifying. I’m not saying that IT gets a pass on this, but it had to balance the source material with a modern adaptation. And modern horror movies have to do one thing to be successful in today’s market: have jump scares. I personally believe that IT raking in the box office that it did is because it towed the line on the jump scare. Would it have been justified in leaving the jump scares out? Yes. Absolutely. Would it have been as commercially viable? Hard to say. It would have been a superior film, but it may not have fared as well with mass audiences. The jump scare was used often, because the movie wanted to appeal to the masses. I understand that, and it is what it is. But the source material from the book is the gold that gave the new movie the ability to use jump scares on top of an amazing concept, which was executed really well. With that out of the way, there were other things this movie had to factor in. The original book had a number of sexual encounters between children that wouldn’t have translated well to film. The script had to tackle half of a massive book, which meant that characters and plot lines would have to be cut in such a way as to not also detract from the overall story and themes. And artistic limitations were abound. Deciding to set the new movie in the 1980s made sense, because the 1950s references in the book would be a hard sell for modern audiences, who wouldn’t understand as many 50s references as 80s references. This article isn’t just about criticism, though. The new movie does many things right. The child actors are amazing. They are spectacularly well casted and allowed the freedom to move around in the story. They are given a lot of time to bond, and while some are developed more than others, it was in the service to the run time and it makes sense. The only shortfall I found in the acting for the movie was with the antagonist, Pennywise, played by Bill Skarsgård. Many people are comparing his performance with the original Tim Curry performance and also Heath Ledger’s Joker. This isn’t fare. Mostly because Pennywise simply has little room to perform. Most of his moments are under thirty seconds, and he’s given one monologue in the film. You could argue that there are two monologues, but that’s a shortfall from the amount of dialogue opportunities that Heath Ledger had in The Dark Knight. Ledger was given multiple opportunities to verbalize the character of The Joker, and The Dark Knight absolutely benefitted from that. Bill Skarsgård wasn’t given the same freedom. Did he demonstrate the potential? Absolutely. But most of his interactions with the characters were jump scares, drooling looks, and one-liners. CGI also played a hindering role, in my opinion. His introduction is done very well, though, and he really explodes onto the screen when given the opportunity. Bringing it back to the kids, there were several brilliant moments that the movie took with them. Allowing Beverly to deal with her period was done both tactfully and in a way that conveyed empathy. Of equal importance was allowing the kids to talk as kids do when adults aren’t around. This is minor, but makes a huge impact on the audience because everyone viewing is able to immerse themselves just a little more. Kids swearing is relatable. The more the audience buys into the story and characters, the more they are able to suspend disbelief and also feel fear when the characters are in scary situations. Allowing some of the racial moments from the book was also important. The new movie does this better than the mini-series did. The book makes the racial tension a large part of the story, and to great effect. The new movie would have benefitted from bravely incorporating this more, but I can understand that the filmmakers wanted to concentrate on a few themes. The missing children being one of the larger concentrations of the movie, and the relationship between the kids, Beverly, and the bullies of the town. Why does this matter to storytelling, though? Because a story that is grounded in various aspects of human nature is a story that will speak to the audience. Surface level stories achieve little. Stories that allow subtext and strive to include deeper meanings are the stories that last. Stephen King wrote IT decades ago, and the story the book conveys is still relevant. Partially because of the characters, but also because of the subtext and themes. That is why Beverly’s period matters, and the racially charged moments matter. Because those are themes worth discussing. In the context of horror, these themes ground the story to make it more than just a tale of a creepy clown. It becomes a story about being a kid, growing up around racism, reaching puberty, and friendship among the plethora of other themes repeated through the book and subsequent screen adaptations. At the center of all of this were the characters. IT is scary for a variety of reasons. I want to look at all three iterations of the story for this section. The original book was set in the 50s and played off of the children’s fears of the monsters of the era. There were mummies and werewolves and lepers and other monsters. The mini-series was able to incorporate a lot of this, but also had something amazing on its side: the performance of Tim Curry. 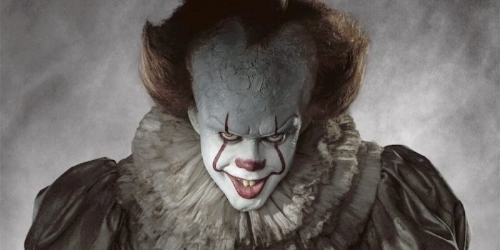 Something the new movie lacks that the mini-series had in spades was the variety in the character of Pennywise. Tim Curry was given the chance to be funny as often as he was allowed to be scary. There’s something unsettling underneath a performance that allows people to see both humor and horror from the same character. What IT really provides in all of the iterations is diversity throughout the experience. It’s a coming-of-age story, in the middle of racially charged suburbia, where deviant sexual encounters are common and a creature that can represent anyone’s darkest fears is targeting children. That’s a lot of layers to what makes IT scary. Add to that the cosmic elements, and the disconnect between the children and the adults, and IT is easily one of the most diverse examples of the genre to exist. Most stories stick to one or two themes to repeat the horror of the story alive. IT goes for broke. This pays off in a lot of ways when it comes to the book, because there’s something inside those pages that will reach almost every horror consumer. The screen adaptations don’t have the benefit of dozens of hours, so they have to stick to a few of the themes. IT was very popular when it was published. There were scenes that buzzed and got people talking a lot. Stephen King was hailed for being fearless. And for good reason. 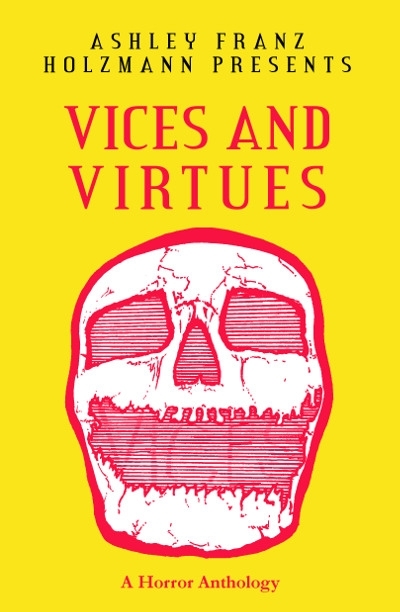 He put in a lot of sexual deviance, as well as violence against children in that book. Some of this has already been discussed. It was his love story to Lovecraft, too, who had so influenced him as a child. Stephen King is a huge reason for the recent resurgence in interest with Lovecraft. The fearless aspect of the book wasn’t King’s ode to Lovecraft though. It was the aforementioned scenes of deviance. I’m labeling it was deviance here as a catch-all, but that encompasses a variety of moments in the book. From children masturbating, sexual encounters, to first time kisses, and even inappropriate relationships between father and daughter. This resonated with people who read the book and drew them in. Again, this book is massive and comes with whole segments that were not translated into the screen adaptations. I believe the reason is deeper than trying to argue that audiences wouldn’t accept such scenes on a screen. We consume books intimately and are far more accepting of books as a source material. If it’s on a page, we aren’t announcing to the world exactly what words we’re reading. A book is consumed alone. And when left by ourselves we are very willing to explore our more deviant sides. We do embarrassing things, think embarrassing thoughts, and we often later experience cognitive dissonance when confronted with anyone publicly expressing the same thoughts we’ve had ourselves. We would rather those thoughts be kept within. This is one of the reasons IT is so effective as a book. It really plays off of countless fears. As I’ve already mentioned, IT is not just a story about an unknown creature, it’s a story about the fears of our childhoods, the lack of adult intervention, and the depths children will go in the direction of cruelty. IT is all of those things. But it works because of the way IT is written and consumed. Much like 50 Shades of Grey works better on the page (ask anyone who was a fan of the books). There are levels of deviance that we have difficulty enjoying in groups. Watching a movie in a theater with a group of friends and strangers is inherently more social and more announcing. You are announcing to a portion of the world that you are experiencing this moment in the movie, and everyone around you knows you’re experiencing it. I couldn’t imagine watching a perfect adaptation of the book in the same room with my parents. I think most people would rather not think of such possibilities. But if my parents knew I read the book. That’s different. It is for this reason that I believe the decisions to exclude certain elements were very crucial in the film. Every decision felt planned in the case of the recent film. The decision to set it in the 80s was cool and retro. The 80s retro stuff is hot right now. Stranger Things, Ready Player One, Rick and Morty being a tongue in cheek riff on Doc and Marty from Back to the Future. It felt like the decisions to make changes were artistic/creative decisions and not just for the sake of watering down the story. So I can admire the new movie for that. The way the sets were designed, the actor’s blocking—the movie did a really good job. And while the jump scares were innumerable, I still found myself enjoying the experience. How does all of this relate to the craft? I’ve discussed how important I feel the decisions of the book and the screen adaptations were. How the way characters interact is significant. There’s a lot to learn from the story of IT. I truly believe that the story is made all there powerful because the audience is actually invested in the decisions of the characters, and believe that this movie does an excellent job. The book does an even better job. The older mini-series does a better job during the first half than in the second half. Another significant thing that King often does well is his characters stay true to themselves. A curious character makes curious decisions. A scared character is consistently scared. He often incorporates character arcs, but the arcs don’t always play out the way we believe they will. Even when they don’t, the characters stay true to themselves above all other things. A lot could be said with that. When movies of all genre are released even today and characters make irrational decisions for the sake of the plot instead of the sake of the characters, that says a lot. IT does not have trouble with this. Character dynamic is huge in IT, as well, and I’ve touched on it. Stranger Things has been recently cited as being inspired by the book IT, and Stephen King is known for being able to produce the relationships that children have without adults really well—Stand By Me is another great example of a film adaptation that plays off of this gift that King has. When it comes to writing, the best thing to do is allow characters to make decisions that make sense. Human nature is normally consistent. Is that disappointing sometimes? Yes. But it’s easier for an audience to immerse in a story if the characters in the story are scared. That simply isn’t something a person would do. They’d do anything else besides that. For me, the biggest thing to take away from the new movie, and of course the book, is that there is diversity to a genre. There are no limits. Stephen King is often referenced as a horror author, but he writes in many genres. Whatever a story needs is how he approaches it. IT is no different. There are really touching moments of childhood innocence that ground the story. The kids in the story are amazingly well balanced as a group. Then there are scenes of gore and horrific moments of over-the-top murder. It gets wild. And at the center of it all is a goofy clown that wants to eat the protagonists. If you really try to simplify the story of IT, it can come off sounding pretty silly. Really, the best way to experience it is to simply read the book. Deep dive into a story that will truly affect you. For my fellow writers out there, if you haven’t read the book, I would like to really encourage you to. Not everyone clicks with it, but most people do. And if you walk away from it with criticisms, that’s not a bad thing. It’s an achievement, regardless of any of our opinions. When it comes to being creative, there aren’t rules. There are just people out there who say there are rules. Ignore those people. Grab the new anthology today!